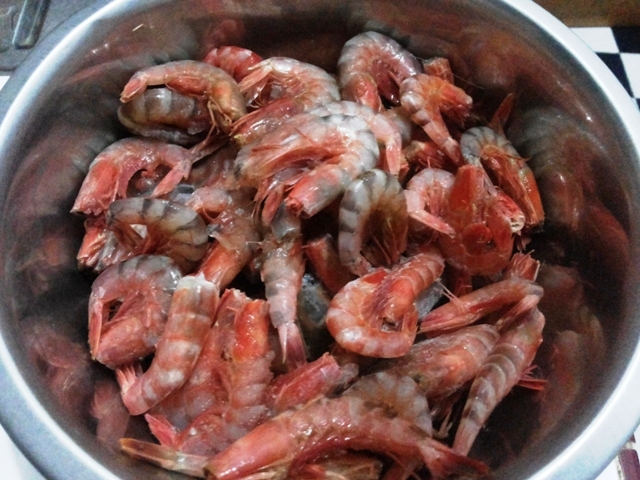 My mom just got some really fresh shrimp from our relatives. So she decide to make us spicy shrimp stew for tonite dinner. we all like it so much because really rare can got freshly shrimp her. 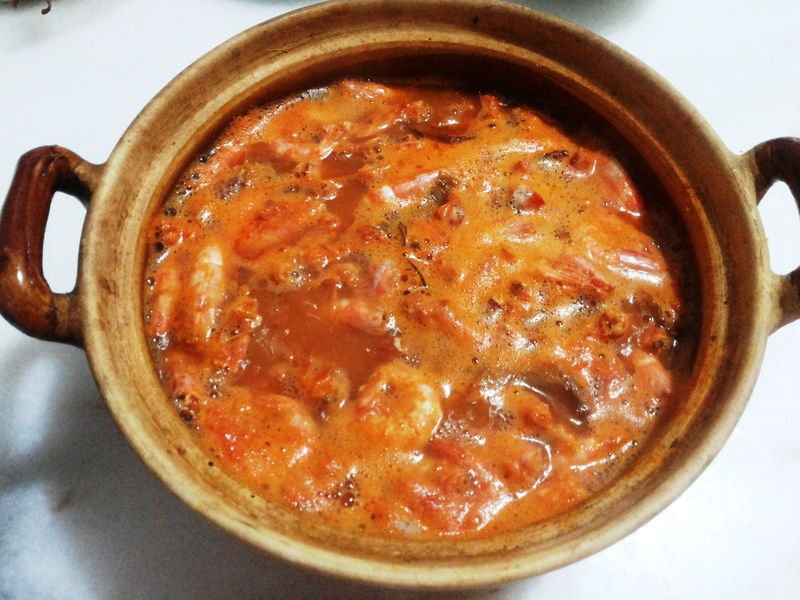 Spicy shrimp stew is cook with many kind of indonesian spice, the taste is a lil bit sour and spicy depend to our taste. if we want eat more spicy just put more chili paste. if dont want just put a little bit. in this recipe, is medium spicy and sour for us. really suit our family taste. No wonder people said mom cook always the best. How To Make: 1.Ground the galangal, ginger, garlic, red onion. Mix well. Put aside 2. Heat saucepan in medium heat, put some oil, add all ingredient exclude shrimp. Saute until aromatic. 3. Move the spice to pot. Add the water. Boil it. 4. Add some salt and taste it. 5. Add the shrimp. Boil around 5 minutes 6. Ready to serves. is it simple? but taste very delicious!